A new lawsuit alleges that Toyota incorrectly manufactured rear axles for the 2016-2018 Toyota Tacoma. The problem manifests itself as out of balance or out of round brake drums. As every Tacoma owner knows, the Taco does not have rear disk brakes. The story goes that Toyota, in its haste to push parts out the door to meet exploding demand, did not properly validate parts for the current generation Tacoma. 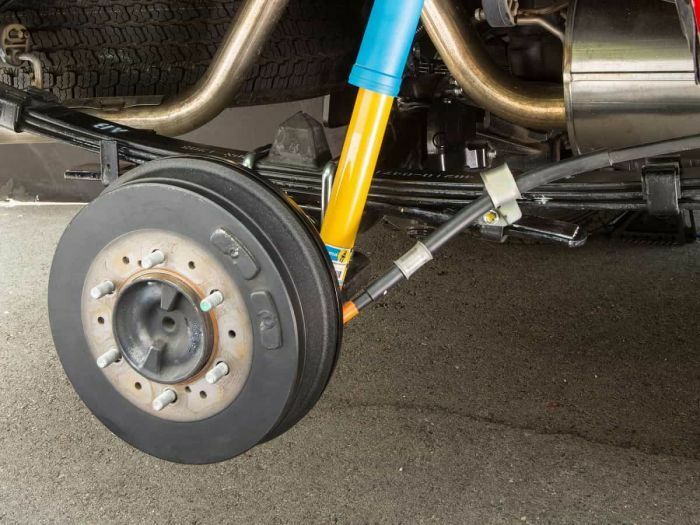 Some axles were manufactured incorrectly and installed on trucks that owners are just now finding have problems that are hard to diagnose and hard to remedy. William J. Johnson alleges that he has information that suggests Toyota is knowingly providing these problematic parts. He has filed suit in the U.S. District Court for the Northern District of California and is represented by the Hanson Law Firm and the Consumer Law Group of California. Mr. Johnson says that after multiple attempts to correct his out of round rear brake drums Toyota tried to change the axle. The new axle also was defective according to Johnson. In his frustration, Johnson asked Toyota to buy back the truck, which he paid nearly $39,000 for. Toyota refused. Citing safety concerns, Johnson asks that Toyota pay damages, stop selling the possibly defective 2018 Tacomas, remove the defective axles from inventory, and inform dealers and consumers about the bent rear axles. This is just the latest in a series of issues including transmission problems and universal joint and prop shaft issues that owners of current generation Tacomas have complained about. Hat tip to CarComplaints.com for the story lead. I just bought 2019 Tacoma and drove for 3 day and brakes cavitate or shudder instantly. No disclosure from dealer. Shame on me for not knowing. Shame on Santa Margarita Toyota for knowing and not disclosing. I drive about 600 miles for relocation this week and call dealer and tell him point blank, brakes shudder at hard stop and downhill. He played dumb. Said maybe I should take to dealer and check out. I take it to dealer today and they run VIN. It has a laundry list of repair from play dumb dealer with axle repairs at 15 miles and they said nothing. I left out all my dummy lights are coming on on my dash and Toyota couldn't replicate. So I have monkeys with greasy hands driving my new truck and gas hard trying to replicate? They already know.! They resurfaced my brand new warped drums? Turned off dummy lights and sent me on my way. Toyota issued a revised TSB that was supposed to list all the affected vehicles by VIN. Wrong. Vehicles are still turning up with the bad axles and OUTSIDE of the run of VINs listed in the TSB. This is the second 2018 Tacoma truck I purchased that has the same issue. I’m currently dealing with Eastern Shore Toyota to resolve the issue, but the told me they don’t know how to fix it. Rear braking issue.